Preparing for my upcoming trip to the Caribbean and USA (in 5 months) with lots of food related research. Would there be any other research that is so important? Again, this upcoming trip has become very food centric and after many changes in plans and dates (my poor travel agent's head was swivelling on his neck and I'm sure his eyes were rolling back too!) I am travelling for a month and will be heading to Louisiana for 6 days. Three of those nights will be in New Orleans and hopefully two will be in Lafayette. I only wish I had more time because the more I research the more I want to move to stay in Louisiana! Burying my head in research on all things eatin', the list is exciting and extensive. I'm trawlling blogs from the area, facebook pages, menus of local eateries, cooking classes, perusing cookbooks and reading as much as I possibly can on it. I'm memorised! So much so that I'm day dreaming of crawfish boils, po boys, beignets and boudin (pronounced boo-dan) and I'm putting Tabasco sauce on all my food again! Unfortunately I will not be there in crawfish season, but that's just another reason to return? There are two big events that happen in the South that have fascinated me. They are attending a Crawfish Boil and a Boucherie. Perhaps I've watched to many episodes of Anthony Bourdain or Bizarre Foods but attending something that is so family or community orientated and nothing at all 'touristy' appeals to my palate. Food is all about bringing family and friends together and should be celebrated. Sharing food at a communal table is like a sharing your heart. It brings a smile to my face when I am sitting with my loved ones, enjoying good food and good company. I have stumbled upon a Cajun food tour in Lafayette which I am definitely signing up for. I will head over to Breaux Bridge for a bite and bit of exploration and will be heading down to Avery Island to visit the home of Tabasco and everything else in between! I will also be catching up with a friend or two while I am there. In New Orleans, the French Market is on the list of must visits and I am tossing up between two cooking classes. The 'spices/sauces to purchase' list is getting bigger. There are a lot of products that I would like to take back with me. Some of these are hard/non-existent in Oz. The list of restaurants and eateries is longer than the number of meals I am in New Orleans for. I am considering a meal at Cochon or Herb Saint. Donald Link's Real Cajun was the first cookbook I bought on Louisiana cuisine and I am kinda in love. I have always had a fascination for the South, but I think it was this cookbook that started the real love affair (and I haven't even got there yet!) There is something comforting about family recipes passed down through the ages and a real connection with the land and ingredients you are using. 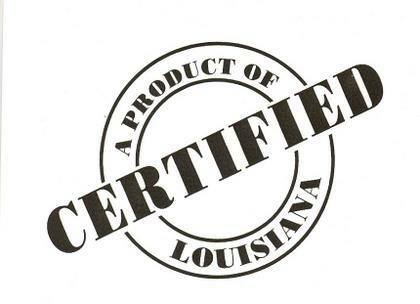 If you are a local or have visited Louisiana before, any recommendations on what to eat and where to visit. Any 'secret' local dining locations? What's your favourite Cajun eat?